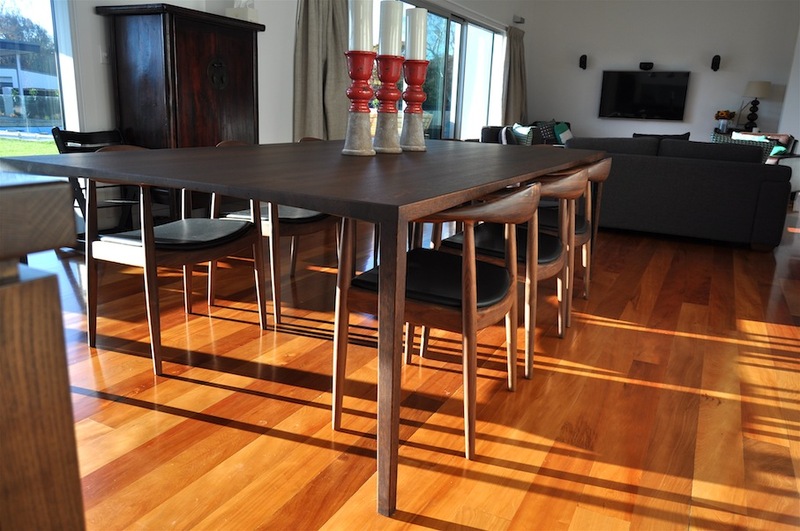 Custom designed 10-seater Oak dining table with a dark stain. 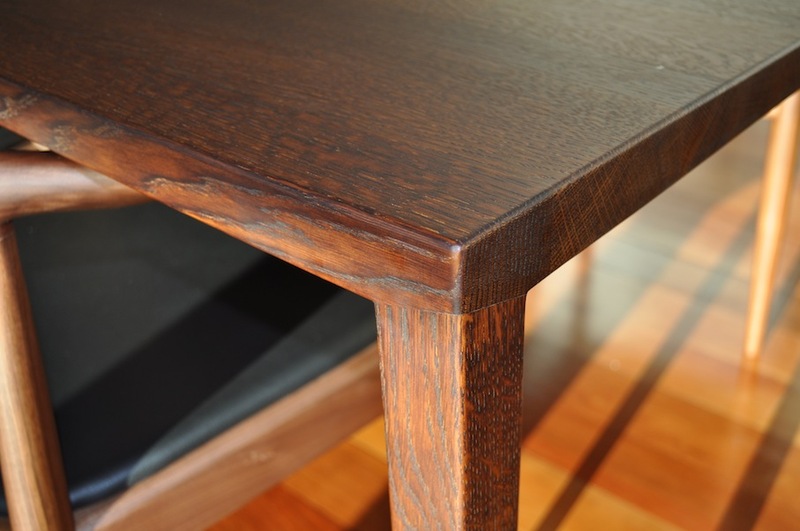 This Oak dining table is a study in elegance and hidden strengths, with its unseen specially designed tension frame to support the tabletop weight and prevent sagging as well as the hidden steel down each leg. 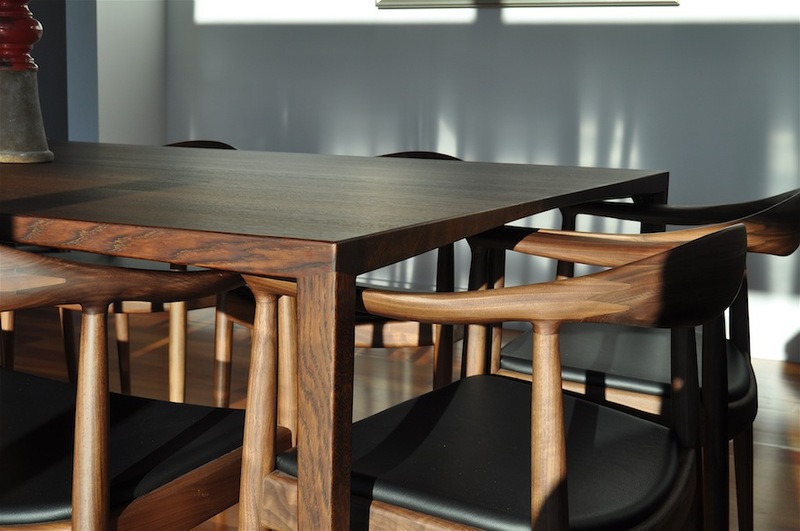 The tapered edges along each side add to the minimal, fragile appearance of what is actually a robust family dining table. 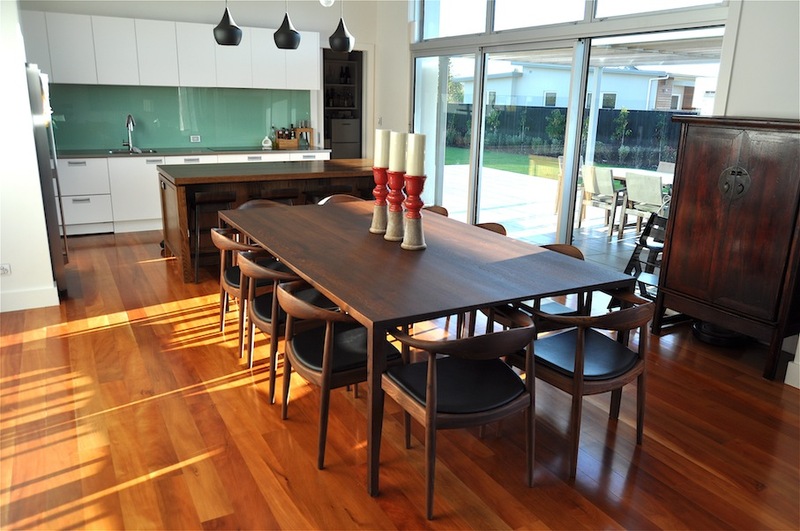 The customised dimensions of the table were requested to accommodate the clients own dining chairs, as was the final stain on the table.